Divergence is the strongest signal on the Forex market. That is why divergence indicators are the most popular indicators both for manual trade and construction of automated trading systems. I often receive letters from my clients, who ask me to recommend the most accurate divergence indicator or a combination of indicators. There is no clear answer to this question because, first of all, there are many market phases and no universal indicator works equally well in different conditions. Secondly, choice of indicator depends on your trading preferences. For example, if you prefer scalping strategies, an indicator should be fast - even to the detriment of signal accuracy. If your trade target is 100 pips or more, signal accuracy is more important than speed and so on. It is quite difficult to give unambiguous and clear recommendations on choosing a combination of indicators, but we will try to create an algorithm, which will make your task several times simpler. 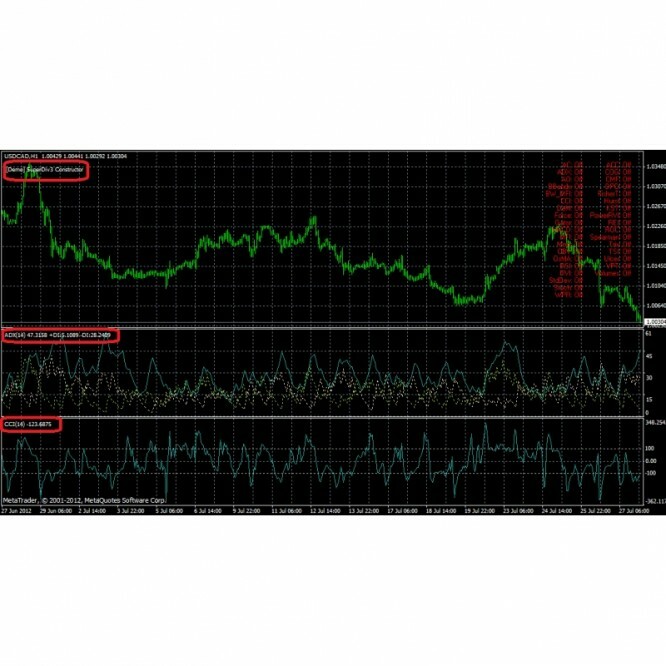 Our company has developed free tool - Divergence Constructor, which combines signals from 35 divergence indicators.